Length: 3 hrs. 46 min. Middle school is like a roller coaster, filled with ups and downs, twists and turns; it’s exhilarating and scary all at the same time! From piles of homework, to understanding the variety of “interesting” people working at your school, and dealing with the new challenges of changing for gym class in front of everyone, it’s normal to feel a little overwhelmed. 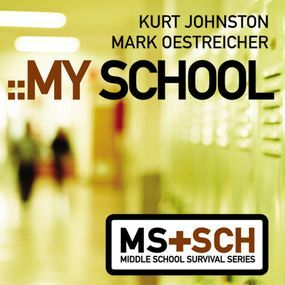 That’s why in My School, from the Middle School Survival Series, we will tackle the things that weigh heavily on middle school students just like you. This book will address important middle school issues like: dealing with bullies, jocks, nerds, and every other category of student you encounter revealing the truth behind the urban legends of middle school pop quizzes, tardiness, and other survival tips This book is filled with short and easy-to-read tips, along with funny stories from the authors (who, believe it or not, used to be middle school morons! ), and quotes and questions from students just like you. After reading My School, you’ll be able to walk the halls like the confident student you want to be.